fairdealworld has no other items for sale. HPI RACING FIRESTORM 10T 7130 DIRT FORCE CLEAR BODY - GENUINE NEW PART! All good . Perfect ebaying. Good quality. Super service. this london bus is a good replica of the faithful routemaster but it is not 1/16 scale as printed on the box but closer to 1/32 scale. my grandson could not wait to get it out of the box and drive it round the floor. Much better than expected, keeps all the boys happy for ages (including the grown up one). I love that the headlights come on when driving forward. Great responsive steering, and seems well made and durable so far - but it has been less than a week! Definitely worth the £13 paid. 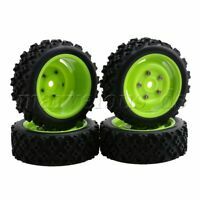 even without r/c this is a great model, pity the steering is not r/c but at the price its good. a brilliant model of a London icon, any child would love this.